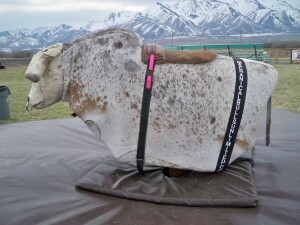 BMB Mechanical Bulls offers mechanical bull rentals in and around Las Vegas, Nevada. We have operated our bulls at the Stratoshpere and other bars and Casinos in Las Vegas. We have operated our bulls during the National Finals Rodeo (NFR) and the Professional Bull Riders Finals (PBR). We also go to weddings, reunions, corporate parties, fairs and graduation parties in Nevada. We carry all the necessary insurance as well as always bringing a mechanical bull suited for the type of event we are attending. We have both new and used bulls at our disposal.